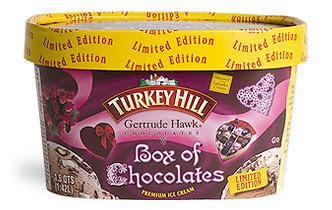 Turkey Hill Gertrude Hawk® Box of Chocolates Ice Cream is the limited edition January flavor of the month (and ...so I guess we'll call this a preemptive strike. It's kind of funny considering that Massachusetts is usually 2-3 months behind the cycle, yet here we are well ahead of it. Sure, it's been snowing for 48 hours, but it's time for ice cream. We all tried it and we all really like it. This ice cream is well made and executes great. 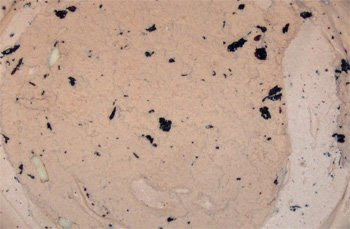 The exact description is "Milk chocolate ice cream with dark chocolate raspberry cups, chocolate almonds and white chocolate chunks swirled with chocolate chips." The milk chocolate is a great place to start. It's got good flavor and good texture. Rather than being an overpowering chocolate that could nullify any add-ins, Turkey Hill goes with this nice middle of the road base. First up is the dark chocolate raspberry cups. You don't get a ton, but I don't think they want you to. There is just enough to give you that raspberry burst now and then, but at the same time, they give the whole container a very mild raspberry vibe. Next are the chocolate almonds. Again, not too many, but they taste great when you find one. I wouldn't have thought to mix raspberry and almonds, but when they are both covered in chocolate, they really seem to compliment each other. The last big add-ins are the white chocolate chunks and I definitely approve (on the left side of the picture above). They go nicely with the milk chocolate and the other add-ins. Now the chocolate chips are very small, but that's what you need in a flavor like this, you don't want them to be distracting. They are plentiful, but they blend right in. If you bite into a chunk, it's one of the other three big add-ins. So, big thumbs up on this one with extra Kudos for living up to the name "Box of Chocolates". You get a great unique mix of add-ins and nothing is over powering here. It's there, and you can't miss it, but it's not smacking you over the head yelling "pay attention to me!". I was so tempted to just eat the whole container because it's hitting the taste buds just right. Great job Turkey Hill! On Second Scoop: I really like this ice cream, I'm not sure what else to say! circa 2008 packaging : Actually, I'd really like to compliment Turkey Hill on the design of this cartoon. Sure, it's dressed up for Valentine's Day, but it's going to get your attention any time of the year. Maybe it's the color standing out among a section of tan containers, but it works. How could any chocolate lover pass this one by? I saw this today at Shaws and it looked fabulous! I am definitely going to have to pick this one up! Thanks for the review! 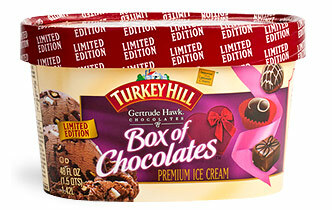 I'm not a chocolate lover per say but I love this box of chocolates ice cream. It's the best I've ever tasted. I missed buying some this year I wish they would make it all year round! That's how good it is. It's January 2017. Not only does this look NOTHING like what I just purchased (box, texture, consistency of the ice cream, the shape / color of the chocolate) but it taste like plain on chocolate ice cream with some small boxy chocolates thrown in. I came to this old post because I wanted to confirm I wasn't seeing things, or remembering incorrectly that it was once "PREMIUM ICE CREAM". I usually pick up a carton of this whenever it's out and on sale, which was the case this week. After I got it home and went to open it, I discovered the carton now says "FROZEN DAIRY DESSERT". 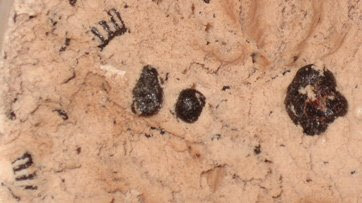 You'll also see this on the Turkey Hill website. Yeah, I need to make notes on the blog for all the flavors that have changed. It's a shame they chose to cut corners rather than raise prices.